Support the Future of The Muny Today! Donate by completing the form below or by phone to (314) 595-5779 or by mail to #1 Theatre Drive, St. Louis, MO 63112. 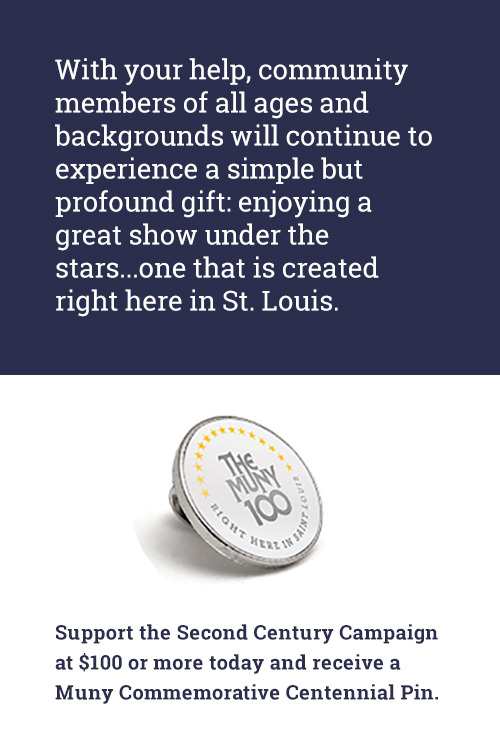 Thank you for your interest in The Muny’s Second Century Campaign. We will be updating this website with fresh content on an ongoing basis. All content: Copyright The Muny 2019. Questions? Email secondcentury@muny.org or call 314.595.5779.